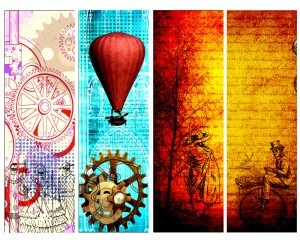 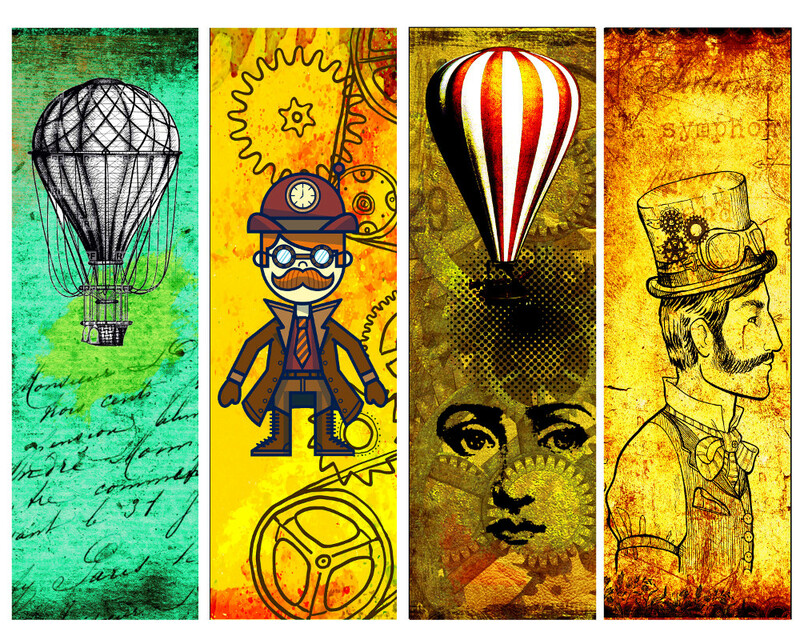 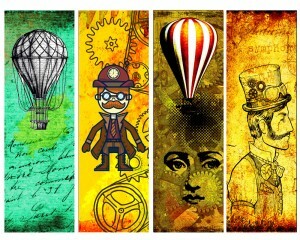 If you love steampunk, you will love these incredible steampunk bookmarks! 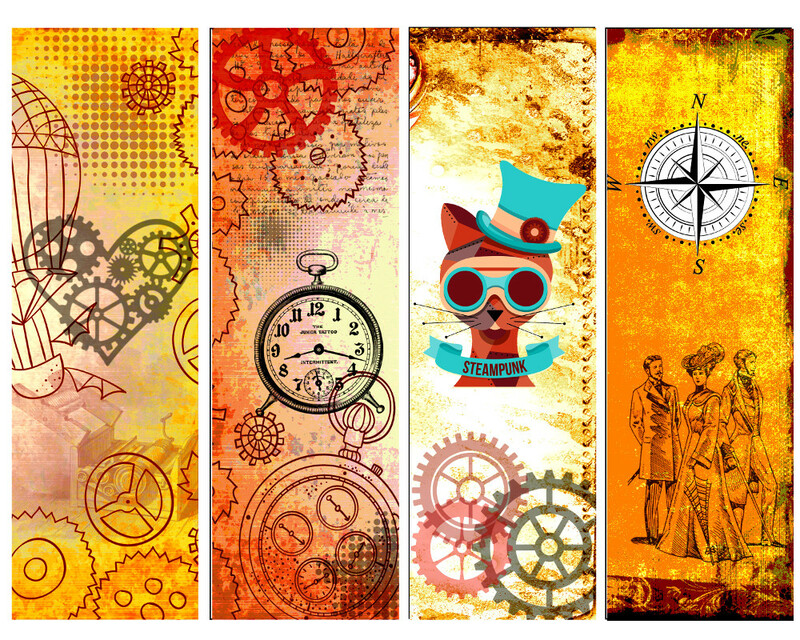 If you love steampunk, you will love these incredible steampunk bookmarks! 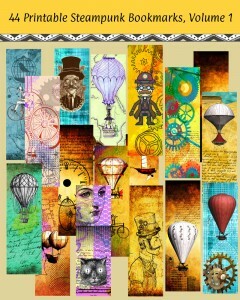 You can print them as often as you like and their magnificent colors and classic steampunk images make great gifts. 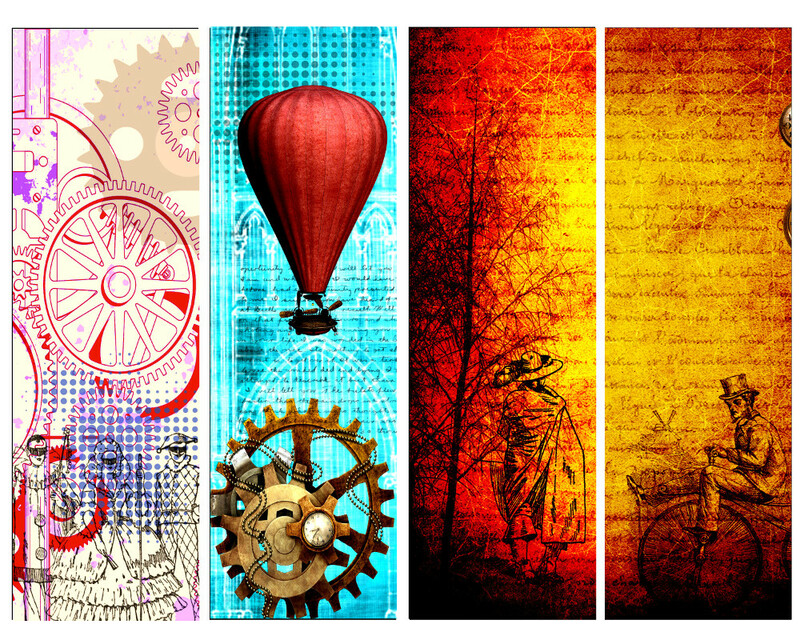 Click on the magnifying glass to see a closeup of these gorgeous bookmarks. 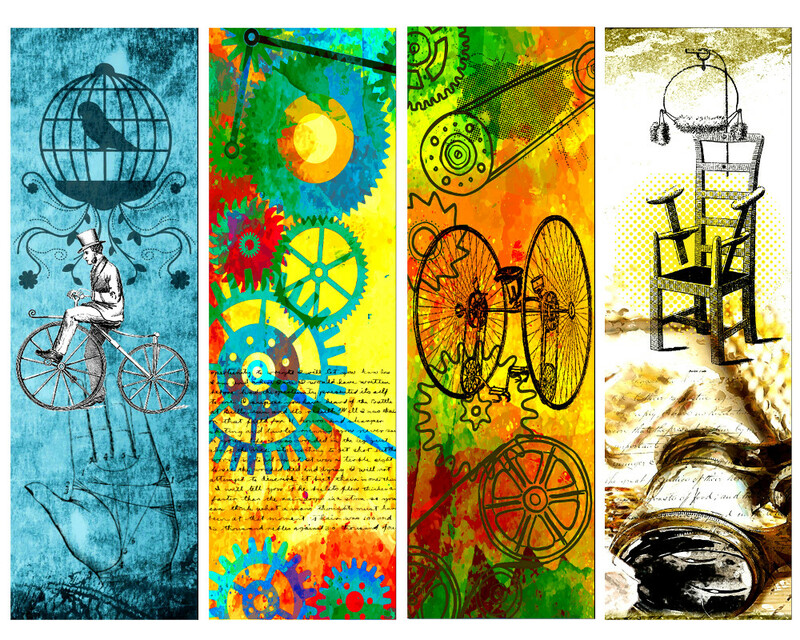 If you would like to print these yourself, know that they're 300 DPI resolution which is the requirement for professional printing. 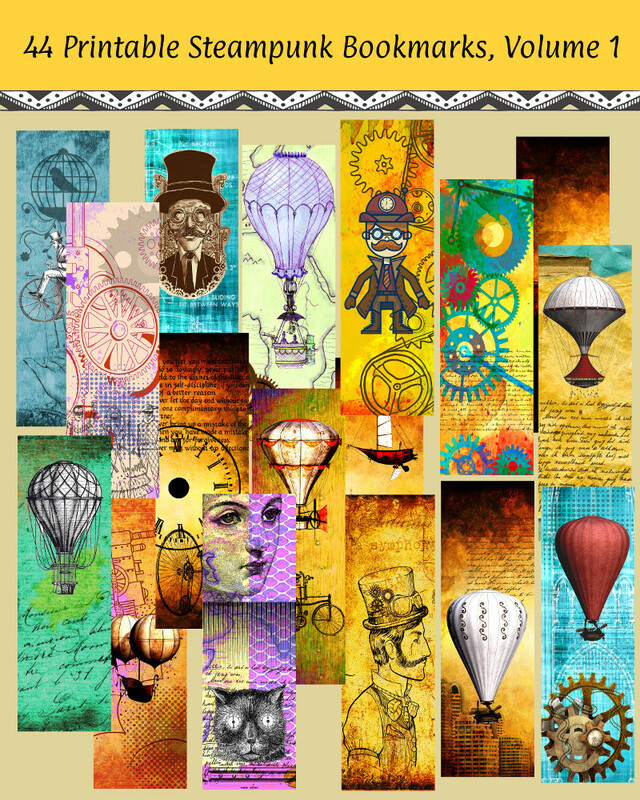 All you have to do is download them instantly, pop them into your printer or take it to a local professional, cut them and you have 44 colorful bookmarks.